Clara Oswald is, and will always be, my favorite Doctor Who companion. My favorite thing about her is her determination. And, nothing says determination like trying to make a Chocolate Souffle. After 4 different attempts (and a lot of swearing) at making a Chocolate Souffle, I finally think I got it. It may not be super pretty, but that is because it started to fall a little while I was setting up all of my camera gear. 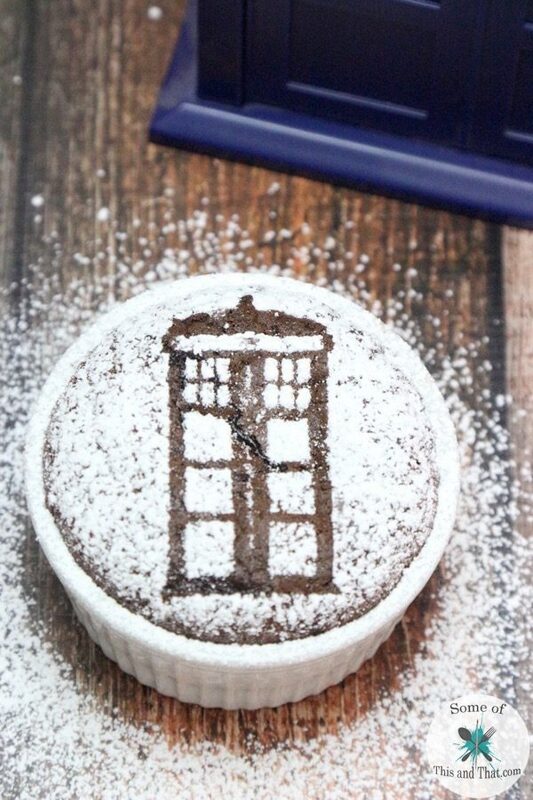 But, it is yummy, and the addition of a Tardis on the top makes this a Doctor Who Chocolate Suffle Recipe! 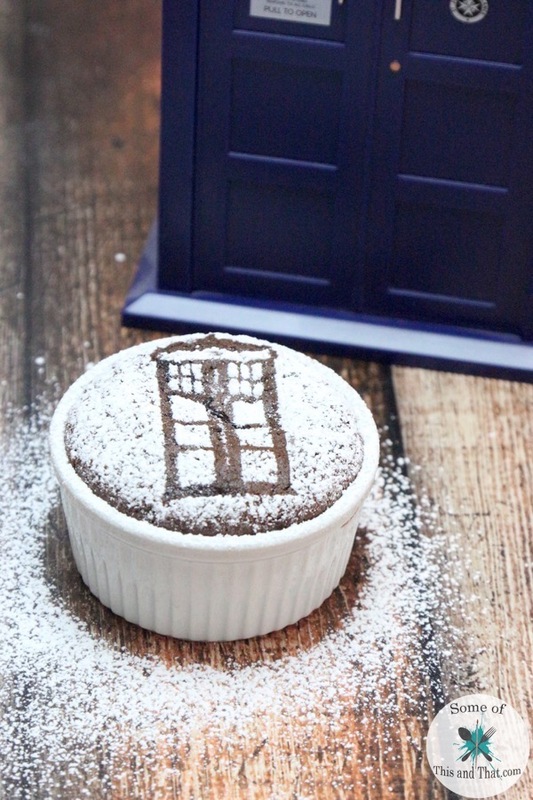 Some tips about making Chocolate Souffle are that it does take patients. Do not over, or under the mix the batter. Also, take your time to coat the ramekins well with butter and sugar. 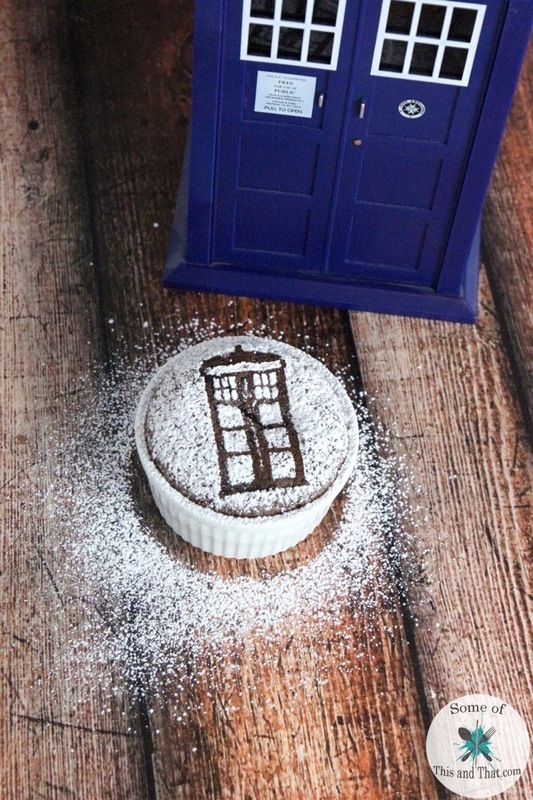 I show you set by step on how to make this Doctor Who Chocolate Souffle Recipe in the video below! Butter 6, 4oz ramekins with butter. Take 2 tpsp of sugar and divide it into each ramekin and coat the entire inside, shake out any excess. Heat heavy whipping cream, avoid boiling, and add in chocolate. Allow chocolate to set for 1-2 minutes to melt. Stir chocolate mix until completely melted and combined. In a large mixing bowl, beat egg whites until soft peaks. Add in remaining 2 tbsp of sugar and beat until hard peaks form. Avoid over beating. Stir in 1/4 of chocolate mixture into egg whites and fold in. Continue folding and adding chocolate until everything is well combined. Divide into ramekins and bake for 10-12 minutes. 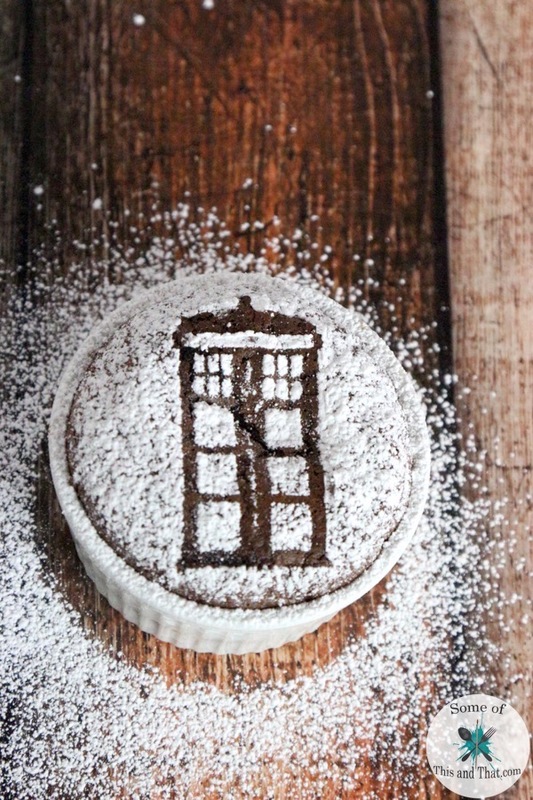 Dust top with powdered sugar and serve immediately. Each week in March we will be doing exclusive YouTube giveaways! So, be sure to head over to our YouTube channel to enter the giveaways that are going on.